Today, I'm wearing a twin outfit. A twin of myself? Does that make sense? This is one of my all-time favorite outfits, I just love it! You can see the original post HERE from a few years ago. You may have noticed that around lunchtime, I had posted a different incarnation of this post for a hot minute. 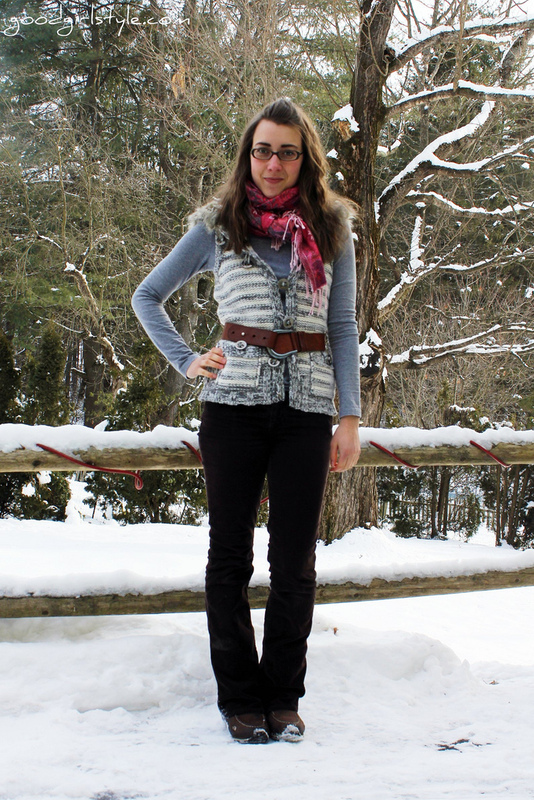 Then I decided to buck up and take a new outfit photo, considering the day had warmed from an inhumane double-digit negative temperature outside to a slightly more considerate 20 degrees above. And remind me again why I live in New England? Over and out! Have a great week! oooh my goodness I live in New England too!!! I don't know why this surprises me so much, just usually all the bloggers I read are not from the Northeast!!! thanks for the sweet surprise...by the way I discovered your blog through your life:beautiful article. Truly a blessing to me to see what you are doing. modesty and fashion can belong in the same word. please stop by and say hello sometime.